With all the buzz about Cal Newport’s latest book Digital Minimalism, I’ve been thinking a lot about intentional use of technology. It’s something that’s always in the back of my mind, but right now, it’s front and center. As a self-proclaimed power user, I’ve always had a thing for finding the best apps. Finding the “best” app meant finding the app that let me accomplish what I want while spending the least amount of time doing it, which usually meant finding the “pro” app with the most features. But something else recently slipped into my decision process – almost without me noticing. These days, I’m becoming less and less interested in the apps with the most features. Features mean nothing if I don’t enjoy using the app. I don’t think I’m alone in this. Almost weekly, I discover a former OmniFocus user discussing why he or she has switched to Things. Things is not only practical. It’s pretty. It’s the balance between practical and pretty that wins people over. It’s why people really enjoy using it. In the tech world, once you write about using an app, there’s a belief that you’ll continue to use it in perpetuity. It’s an odd belief, really. Just because I blogged on LiveJournal when I was little doesn’t mean I should still be using it for this blog today. Our needs change. Our thoughts change. Technology does as well. I’ve recently succumbed to DevonThink’s terribly outdated UI and moved back to Evernote. Like OmniFocus, DevonThink is still an incredibly powerful (practical) app that I highly recommend for archival knowledge management. For daily knowledge management, however, I just didn’t enjoy looking at it which kept me from using it to its full extent. To be fair, I don’t particularly enjoy using Evernote either, but based on the balance of practicality AND pretty, Evernote wins. More and more, I’m finding myself swapping practical apps out for prettier apps, and I’m seeing others do the same. I can’t help but wonder if this is part of a larger trend of people really starting to rethink how they use their technology and why. If it is a trend, I’m excited to see where this new wave of both practical and pretty apps can take us. I’ve discussed how the way I organize Evernote has evolved recently. One of those more recent additions is that I’ve started creating notebooks for active projects, but I hadn’t come to a decision on what to do with them once they were no longer active. Having just returned from Ireland, making my “Trip to Ireland” project inactive, I had a decision to make. That decision was that notes from inactive projects would get tagged and collapsed into their respective Reference notebook. In the case of my “Trip to Ireland” notes, I tagged them all with Ireland and moved them to my Personal reference notebook. They’re all still easily accessible in case I get the opportunity to go to Ireland again or someone asks about it, but otherwise out of the way. 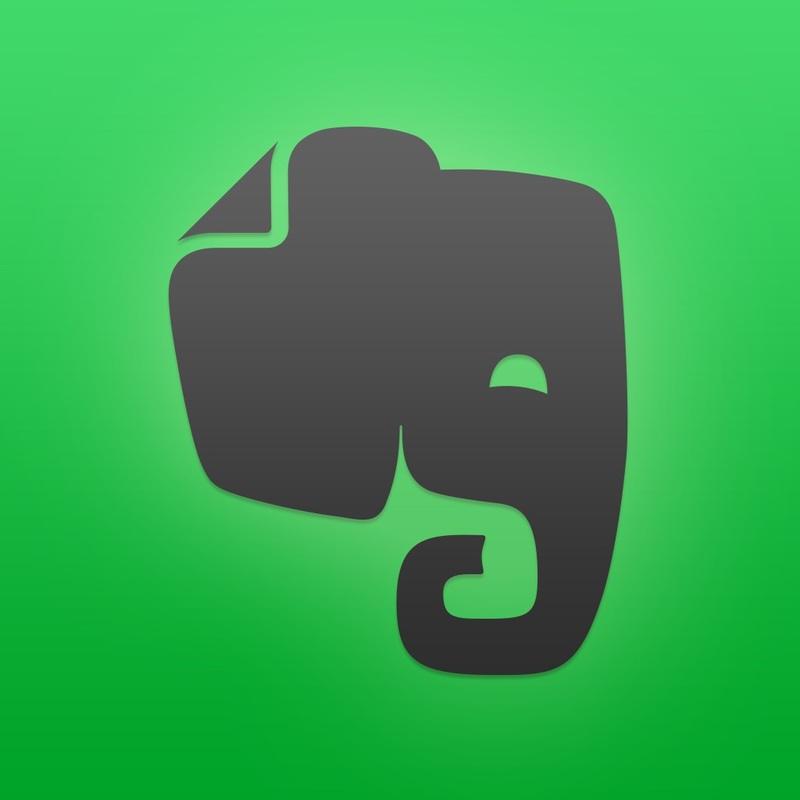 Her post is a great read if you’re having trouble with deciding how to organize Evernote. While I don’t follow her method, I do agree with her on why tags shouldn’t be your primary way of organizing Evernote. That being said, what I find most interesting about the Evernote community though, is how quickly and adamantly the user base divided into two camps: using tags is the only way to go or using notebooks is the only way to go. My system has developed from a mix of ideas from GTD, Tiago Forte, and Stacey Harmon. New items go to the inbox (GTD) where they’re then filed away in their appropriate notebooks based on how often I’ll need to be using them (Forte and Harmon). Tags are used to identify overarching themes or topics (e.g. Buddhism, Ireland, accessibility, quantified self, etc.) allowing me to browse by topic if need be, but Evernote’s search is always my first instinct. It works without all the fiddly effort of managing a complex tagging system. Now that I’ve had my iPad Pro for a while, I’ve finally settled into a routine for managing my course notes. I rely on two main apps (Goodnotes and Evernote) and both my Macbook Pro and iPad Pro. Each week before class, I duplicate an existing copy of my weekly course notes to save time typing out my preferred format. It’s broken down into Administrative (typically action items or important information about the course), a list of assigned readings, an area for taking notes during that week’s lecture, and a place for the lecture slides. Next, I download the assigned readings for the next week as well as the lecture slides from the previous class from the course site on Blackboard. Newly assigned readings get put into Goodnotes on the Mac. While I’m in Goodnotes, I also export any readings from the previous week to PDF and delete the previous week’s category. Back in Evernote, I create notes for each of the new readings and link to them in the weekly note using the Copy Note Link feature. I used to include my reading notes directly in the Weekly notes, but after noticing a few of the assigned readings were papers I’d already read for another class, I switched to keeping my notes directly with the papers themselves, linking each class to the single note for the paper. It makes noticing connections a lot easier. The last step in preparing for the week is to create tasks in Omnifocus. I typically prefer to have all the assignments plugged in at the start of the semester, but for this class, it’s easier to enter them on a weekly basis. With set up done, I switch to my iPad Pro for reading and annotation within Goodnotes. If something seems particularly noteworthy I make note of that in the stub note in Evernote, but for the most part, the annotation is sufficient. During class, I use my iPad Pro to switch between typing notes into Evernote and making additional annotations in Goodnotes. The day after class, I make sure my weekly note for the previous class is complete by adding the final annotated copy of the readings into the stub notes I created for them (they’re already linked to the main weekly note), adding the lecture slides. I end up with something that looks a bit like this. And then it’s time to start this whole process over for the next week! Today marks officially 1 month with my 10.5″ iPad Pro, and unlike my previous iPad, this one is actually still being used. It hasn’t evoked any magical feelings like my Airpods did and still continue to do, but it’s certainly a device I know I don’t want to live without. I quickly realized that in order to make the most of the iPad Pro, it needed accessories – lots of them. I can’t even imagine using the iPad Pro without the Smart Keyboard or Apple Pencil. Keyboard shortcuts alone immediately made the iPad more usable for me, and the Apple Pencil has converted almost all of my note taking (and coloring) from paper to digital. Not wanting to ruin the gorgeous edges of the iPad, I picked up a MoKo Translucent Slim Hard Plastic Bumper Protector. I’d prefer to have something with more color, but the options that work with the Smart Keyboard thus far are slim. I also picked up a magnetic sleeve for the pencil which allows me to stick it to the Smart Keyboard. Looking for a bit more protection for when the Pencil is thrown in my bag, I bought a Belkin Carrying Case and Stand. Unfortunately, the Pencil doesn’t fit into the case with the magnetic sleeve though. For now, the case lives on my desk at work, providing a nice place to rest my Pencil as I work, as well as, storage for the extra tip and adaptor. One of the most surprising things about getting the iPad Pro is how quickly and seamlessly it replaced other devices in my workflows. I find it much less of an inconvenience to work from my iPad Pro than my Chromebook or Dell laptop when installing updates on my Macbook Pro. All of my favorite apps are available and ready. Additionally, my iPad Pro has become my go to devices for nearly all meetings unless there’s no table for me to type at. I bring up the meeting agenda in Google Docs on the left half of the screen and use Evernote for my own personal notes on the other half of the screen. I’ve not missed my laptop once in these cases, but if the need were to arise, I could access it using Screens. The iPad Pro has also become my go to “couch-surfing device”. Not only is it an incredible smart remote, thanks to the Harmony app. I can use apps like TV Cast to stream video to my TV or just use it to play games like Mini Metro in my spare time. I even find myself using it to read Kindle books. I still prefer reading on the Kindle, but the iPad’s in my hands more often, therefore it gets used more often. I love this device, but I simply can’t use it as a primary device yet. The Smart Keyboard just doesn’t work well for typing on anything but a solid surface. Therefore, I find myself still resorting to my laptop in cases where I need to do work and don’t have a stable surface available. Another limitation is with automation. As a heavy Keyboard Maestro user, I rely on automation to perform many day to day tasks on my Mac. With no Keyboard Maestro for iOS, it’d take significant effort on my part, which I’ve yet to invest, to configure these in an app like Workflow. That being said, a big portion of my Keyboard Maestro use is text expansion. Working in customer support, text expansion is essential to my workflow, so much so, I even considered switching back to TextExpander. Unfortunately, Apple doesn’t allow third party keyboards to use the Smart Keyboard, so for now, I’m stuck doing a good portion of my work on my Mac. At the end of the day, the iPad Pro is AMAZING as a general use computer. As far as using it for anything more, it’s getting there, but it’s not quite there yet. Despite being an Apple fangirl of sorts, I haven’t owned an iPad since the iPad 3 (also known as the “new iPad”, the first iPad with Retina, or as I remember it, the dreadfully underpowered iPad). I was never a huge fan of it, found trouble justifying its use, and ended up selling it when I moved. A few weeks ago, I became the proud owner of a 10.5 inch iPad Pro courtesy of my job (Space Grey, 256GB, Wi-fi, if you’re curious). I suppose running the tech demo space on campus has its perks. Much to my surprise, I’m loving it. In fact, when running to meetings, I’m finding myself reaching for the iPad Pro and leaving my Macbook Pro in my office. After trying a number of apps, hoping to stumble upon the perfect one, I’ve come to the conclusion that one app may not be the way to go in cases like these. For planning my day, I prefer Notability. While the majority of my planning is done through Google Calendar and Omnifocus, I still do appreciate having a detailed list of everything I need to do in a day to check off as I go. Only important things are in Omnifocus, and until manual sorting is added, the list is often out of order from when I actually plan to do it. Notability provides the best format for writing out my day, Bullet Journal style, and I prefer the Subject/Divider with individual notes organization. I actually gave up handwritten notes in meetings. I think part of me prefers the privacy of typing on a propped up screen as opposed to scribbling on my screen laying flat on a table for everyone to see. For this, I’m using a split screen set up with the shared meeting agenda in Google Docs on the right and my personal meeting notes stored in Evernote on the right. (You read that right, I’m using Evernote. More on that in a later post). This was the scenario that drew me to the iPad Pro. Several times a year, I have to hire a number of students to work in my office. Such is life when your employee pool is based on a group that leaves every 4 years. My prior workflow involved printing out resumes which I’d review and annotate. Candidates that made the cut are invited to an interview. Before each interview, I’d print out a checklist that I’d take notes on as the interview progressed. For this workflow, Goodnotes was perfect. Unlike Notability, notes are organized into Notebooks with actual pages. 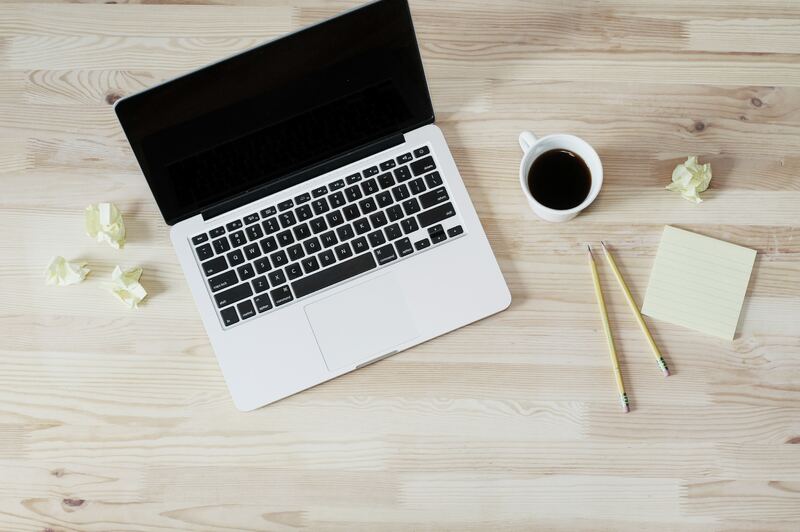 Goodnotes allows me to have a single notebook for a round of hiring. 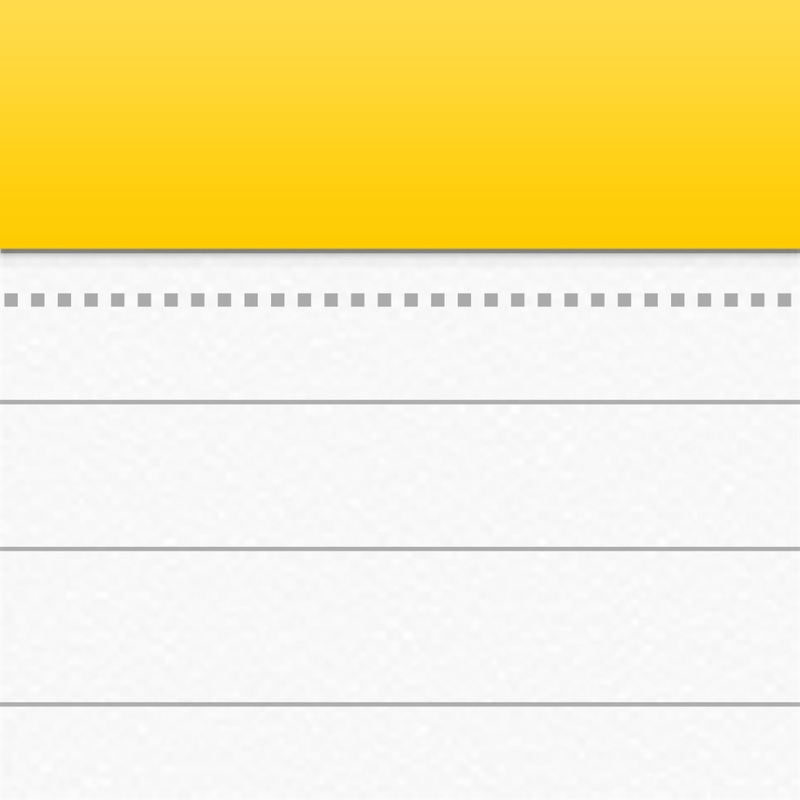 Another feature that makes Goodnotes the winner is that I can set the page template to be the interview checklist. Instead of printing a new checklist for every candidate, I just swipe to a new page now. While I’m not in a class at the moment, I can see Goodnotes being my pick for taking notes in my classes too. 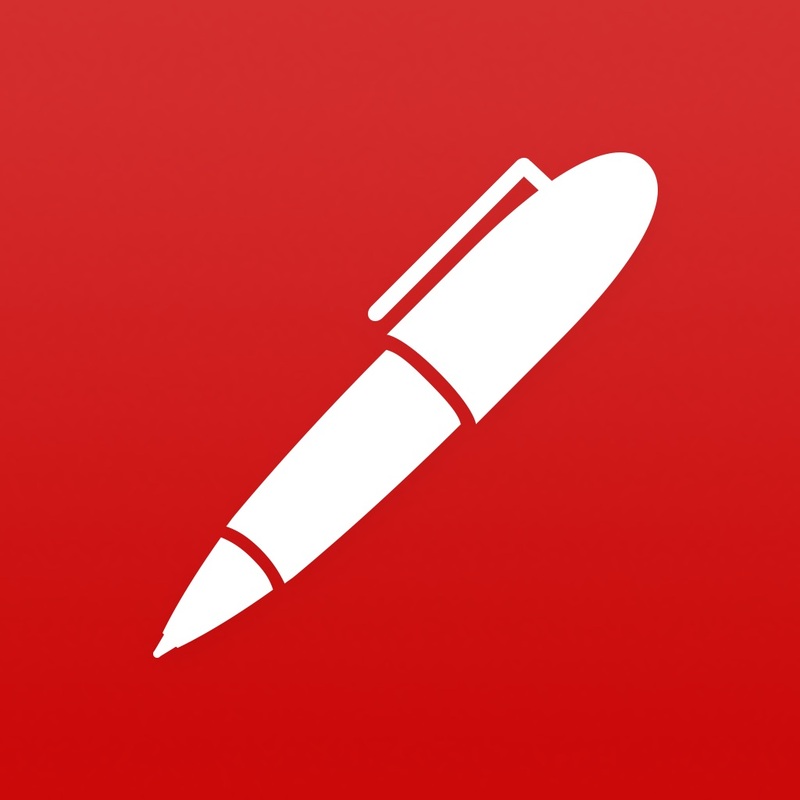 The ability to annotate articles and store handwritten notes side seems best suited to this app. Classes also lend themselves to Goodnotes’ notebook format nicely as well. For simple notes, I’m finding myself using Apple Notes. Apple Notes doesn’t offer as many ways to customize the writing style, it does offer a nice feature of being available from the lock screen. In iOS 11, a simple tap to the lockscreen with the Apple Pencil opens up a new note. This is perfect for jotting down something quick. There’s one app that I don’t use all that often, but it’s so darn cool I’ve not managed to remove it from my iPad just yet, and that’s Nebo. In terms of organizing notes, Nebo’s structure is a lot like Notability, but it has a few tricks up it’s sleeve. Scratching through something you’ve written erases it (like crossing it out on paper, but better) Drawing lines between letters or words separates or joins them. And then there’s there are the features that are just magical. Double-tapping on handwritten text with your finger converts it to text. This also works with diagrams and mathematical equations. In the past, I’ve spent hours on my Mac crafting professional looking diagrams and flow charts to explain workflows to my colleagues. With Nebo, the process takes minutes. Do you have any tips or tricks for notetaking on your iPad Pro? Another app mention? I’d love to hear your thoughts on what you’re using.